As religious diversity in North America increases, there is a growing belief that every educated person needs to have at least a simple understanding of the great variety of beliefs and practices taught by the world's major religions. Public schools often avoid educating students about religion. Some mistakenly assume that the principle of separation of church and state means that they must not discuss religion at all. Private religious schools often confine their teaching to only a single religion, or only a single faith tradition within one religion. Even worse, some teach that other religions are defective and even Satanic. Many people reach adulthood being only familiar with their own particular religious or spiritual path, whether it be Agnostic, Atheist, Buddhist, Hinduism, Humanist, Mormon, Muslim, Roman Catholic, Southern Baptist, Eastern Orthodox, Unitarian Universalist, Wiccan, etc. Some suggest that religious diversity can be taught to children in the form of special books geared to their specific interests and needs, and to their growing understanding of English. A variety of books are listed below: comparative religion books about the world's great faiths, books about Christianity, religions, multicultural books, and books on such topics as religious diversity, justice, oppression, etc. Many publishers give a recommended grade range for their books. To estimate the age range, add five to the grade. Tim Baker, Kate Etue, "Why So Many Gods?" Nelson Reference, (2002). The book describes 100 faith groups, ranging from world religions, secular world views, etc from a heavily biased, conservative Christian perspective. The authors are up front with their position. In the second paragraph of the book, they write: "In this book we're going to take the position that [conservative] Christianity is the only true religion." In a section at the end of each chapter, called "The Trick," the authors attempt to prove each religion other than their own to be illogical. Intended for teens. Read reviews or order this book safely from Amazon.com online book store. Elizabeth Breuilly, Joanne O'Brien, Martin E. Marty (Editor), Martin Palmer, "Religions of the World: The Illustrated Guide to Origins, Beliefs, Traditions & Festivals," Checkmark Books, (1997). The School Library Journal describes this book as a "superb overview of 10 major faiths." It is divided into three sections: the main Abrahamic faiths (Judaism, Christianity, and Islam), the Vedic faiths (Hinduism, Buddhism, and Jainism), and other major traditions (Shinto, Taoism, Sikhism, and Baha'i). "The history, development, ways of worship, and celebrations are given for each....the writing is scholarly, lucid, and nonpartisan." For ages 12 and higher. Read reviews or order this book. Anita Ganeri & Marcus Braybrooke, "Religions Explained: A beginners guide to world faiths," Henry Holt, (1997). The book gives an overview of many religions, including ancient religions (from Egypt, Mesopotamia, Greece, Rome, Mexico, Peru, and Scandinavia); the "People of the Book" (Judaism, Christianity, and Islam); religions of India, China, and Japan; the "spirit religions" (of North and South America, Africa, and Australasia) and relatively new religions (Rastafarianism, Baha'i, Hare Krishna, Mennonite, Mormon, the Unification Church, and New Age). "The text is clear and maintains respectful objectivity." For ages 9 to 12. Read reviews or order this book. Rabbi Marc Gellman & Harry Bliss (Illustrator), "And God Cried, Too : A Kid's Book of Healing and Hope," HarperTrophy, (2002). A young angel-in-training is mentored by an experienced angel. Together, they try to understand issues like: why 911 happened, why a pet died, why God works miracles, etc. For ages 9 to 12. Read reviews or order this book safely from Amazon.com online book store. Sophia Lyon Fahs, Patricia Hoertdoerfer, & Cyrus LeRoy Baldridge (Illustrator), "From Long Ago and Many Lands," Skinner House, (1995). Twenty classic fables from many eras and cultures "illuminate themes" that are "key to a child's religious development." As an aid for parents and teachers, lesson plans, discussion questions and age-appropriate activities are included. For ages 4 to 8. Read reviews or order this book safely from Amazon.com online book store. Christopher Buice, "A Bucketful of Dreams," Skinner House, (1995). 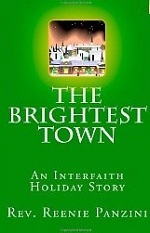 A collection of 18 original parables on topics such as diversity, justice, faith and empowerment. Suitable for all ages. Read reviews or order this book safely from Amazon.com online book store. "God dreams that every one of us will see that we are all brothers and sisters-yes, even you and me-even if we have different mommies and daddies or live in different faraway lands." "God does not force us to be friends or to love one another.... But when we say we're sorry and forgive one another, we wipe away our tears and God's tears, too." Elizabeth Caldwell, "Making a Home for Faith: Nurturing the Spiritual Life of Your Children," United Church Press, (2000). This book "offers guidance to parents and caregivers who want to take an active role in the faith development of their children. Includes reflection questions." Read reviews or order this book safely from Amazon.com online book store.